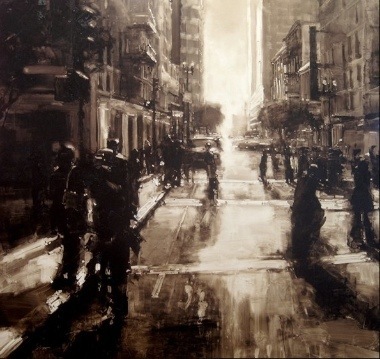 Some incredible artwork of San Francisco done by Jeremy Mann. His web page, from whence this image came, is here and contains a list of his upcoming shows. 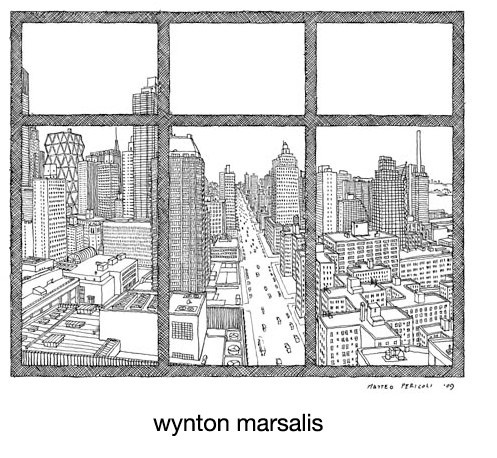 A new, fantastically fun book was recently published by Simon and Schuster:The City Out My Window. 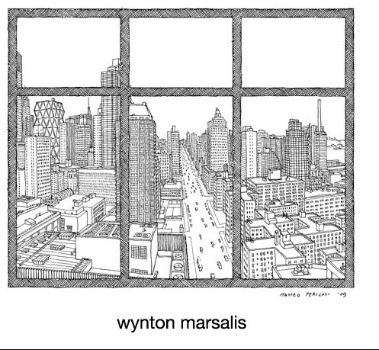 It is a collection of Matteo Pericoli’s line illustrations of the views enjoyed by wealthy and famous New Yorkers (like David Byrne) and….wait for it…normal New Yorkers, too. HT to If It’s Hip, It’s Here. And therein lies the best career advice I could possibly dispense: just DO things. Chase after the things that interest you and make you happy. Stop acting like you have a set path, because you don’t. No one does. You shouldn’t be trying to check off the boxes of life; they aren’t real and they were created by other people, not you. There is no explicit path I’m following, and I’m not walking in anyone else’s footsteps. I’m making it up as I go. See here for the write-up of Dr. Yan Xiao’s bridge in the Hunan province. It is made of bamboo AND it is strong enough to withstand truck traffic. Here’s a write-up in Go!